Joy to the world! The Lord is come. Let earth receive her King! Happiness is over-rated. But joy, there can never be enough joy in the world. Most people confuse happiness and joy, but joy transcends happiness. Joy is the positive confidence we posses by knowing and trusting God regardless of our circumstances. So how do we receive joy during Christmastime? By taking a few moments to rest in the presence of the One who loves you the most and has every detail of your life in his hands. Christmas is the story that redeems us. It is wild, beautiful and in it, the impossible became possible. The babe in the manger teaches us that when God shows up and weaves his heart into our stories, our joy cannot be contained. We are valued because of him, who writes his joy into our lives when we trust him. We repeat the sounding joy because he affirms to us: You are loved. In me, you are enough. You are valued, treasured and adored. You are blessed beyond measure. You are my child, and you dear one, are amazing. Even 2000 years later, Jesus is still bringing joy to the world. His love – deeper than we could ever imagine – conquered death. His glory was revealed to us and quite frankly, because of it, the world will never be the same. All of us are now healers, peacemakers and Kingdom builders proving each day the wonders of his love. May you experience the love of Jesus and a deep awareness of his presence in your life throughout the year. This entry was posted in Improving Every Day Living, Improving Relationship, Joy and tagged God's love, Joy, life, love, presence of God, Rescue, Salvation, wondering on December 24, 2016 by Myra Wells. Everyone’s story in 2016 contains victories and defeats. Even if yours was mostly packed with victories, most are hard-fought and include moments of difficult work, questioning if the end would ever come and times of despair when it all seemed too difficult. The defeats come with their own set of worries. Christmas is usually thought of as the season of comfort and joy, yet the world is not exempt from sorrow during this season. Perhaps life has changed dramatically for you. A cherished relative or friend might be missing from the celebrations. Maybe you fear being alone. Or the time brings back painful memories from the past year – things you wish could be undone, but can’t. Remember at the first Christmas, Jesus wasn’t born into ideal circumstances. Mary’s fiancé, Joseph, thought she had been unfaithful and wanted to break off the engagement. Probably to calm things down, Mary’s family sent her to live with her cousin, Elizabeth, for a while. And just as Mary was getting ready to give birth, the couple had to travel on foot from Nazareth to Bethlehem – a distance of about 90 miles. Mary gave birth in a stinky, cold stable with only Joseph to help. 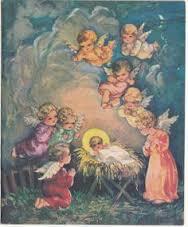 Yet the Light of the World made his grand entrance as a little baby. The glory of that night could not be held in. 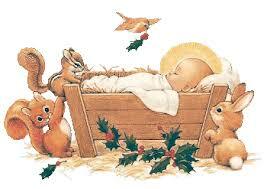 Angels sang, shepherds and wise men came to visit because hope, true Hope for the world, was born. 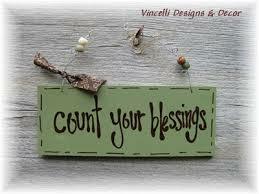 Life will always be less than ideal, so it is wise to count your blessings. Rather than focusing on what you don’t have, rejoice in what you have. Rather than arguing with your family, praise them for the gift they are. Rather that wishing for better circumstances, embrace God’s plan for your life. And rather than walking through suffering alone, depend on the hope Jesus gives as He walks through the valley with you. Christ’s birth brought healing and promise to the entire world – no matter what the ache or longing, the sorrow or suffering. That is the best blessing anyone can receive. This entry was posted in Improving Every Day Living, Improving Relationship, Joy and tagged contentment, encouragement, God's love, grace, Joy, life, love, presence of God, relationships, Rescue, Salvation, winter on December 22, 2016 by Myra Wells.